Tree Removal Denver is the top provider of Tree Removals and Tree Services in the Greater Denver Area. Call us today to get your free estimate! Tree removal should likely be the last resort, and is only an ideal option when a tree is dying, or considered irreparably hazardous, or it’s causing obstruction not possible to correct through pruning. However it is also sometimes necessary to make a removal for aesthetic changes or when there is a building development of some sort. 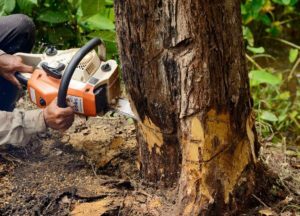 We can help you determine the best action when removing a tree, and we’d be glad to give you a free estimate if you give us a call!